Some great food for thought for screenwriters today from WGGB’s Chair for Video Games Steve Ince! Make sure you check out Steve’s book on writing for video games as well, since this is a great market for writers. Enjoy! Because they’re such an important part of developing games and interactive stories, players must be seen as both participators and the audience. By thinking about how the player is considered during the development of game narratives, screenwriters can learn a number of key points. It’s almost impossible to write for games if you don’t play and understand them, not just in terms of how they should be played, but knowing why a game is fun and rewarding to play. Because there are so many thousands of games out there and so little time, it’s not possible to play all games and it’s unlikely that any of us will enjoy all types of games, but a game writer who gets a buzz out of playing games, particularly narrative games, will understand the role of the player in the writing and development process. Being players gives game writers the right insights into their craft. In parallel, screenwriters must be viewers who enjoy watching TV shows or films and understand what make them enjoyable to their audience. They must understand why structure is the way it is, how pacing affects the feel of the story, how the filming and the actors fit into the process and many other aspects of the craft. KEY POINT 1 – Just as game writers must play games, screenwriters must be regular viewers of their medium. When we write our game narratives we are writing for an audience of one, no matter how many copies of a game is sold. The individual player, with his or her hands on the controller, is our audience. This even applies to a massively multiplayer game because it’s only ever that one player who’s making their own interactive choices. No one else is selecting those choices for them. Although the viewers of a film or TV show are not interacting with the media to make the story progress, the individual is still immensely important, even in a cinema filled with people or amongst a family sitting at home. Screenwriters must still write in a way that connects to the individual or they will not feel the empathy you need. Also, with an increasing number of ways for individuals to access and view various media, they are regularly watched by people on their own. KEY POINT 2 – Games teach us that the individual audience member is highly important. This applies whether you write first person or third person games. The story doesn’t move forward without the actions of the player, which gives the player a protagonist’s connectivity to the twists and turns of the plot, the conflict with other characters and the motivation to overcome obstacles along the way. Yes, the stories and choices may well be pre-defined, written and recorded, but done well the suspension of disbelief will encourage the player to believe they are saving the world or solving the murder mystery. It’s very easy to think of film and TV as passive media because viewers are not interacting with the story, but passive implies a lack of engagement and that’s definitely not the case. Viewers engage very strongly and while the media may be non-interactive and viewer is not the protagonist, screenwriters should ensure that the engagement is maximised by creating characters with which the viewer can identify. KEY POINT 3 – Games are highly interactive but that doesn’t mean film or TV is passive. 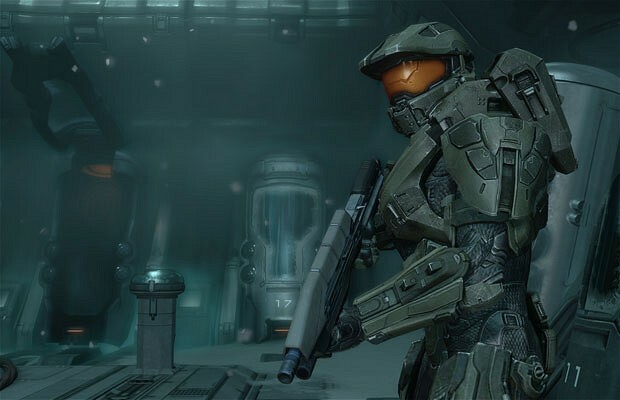 Lara Croft or Master Chief didn’t get to be popular game characters by accident – they were created and written with the player in mind. The very best characters you could ever come up with might count for nothing if they are not fun to play. Admittedly, you might argue that good, playable characters fall into the realm of game design, but if you want the story to connect to the gameplay in a cohesive manner, the writing and design must overlap throughout the whole development process, particularly with design. Similarly, screenwriters must write characters the viewer will want to watch. Without these great characters on the page, the directors and actors can’t begin to visualise the ideas you want to put across and the viewers, should the script get made, would struggle to engage. KEY POINT 4 – Game players love to engage with great characters; your viewers do, too. The game worlds aren’t there simply for the characters to exist within, they are worlds in which the player enjoys the combat or investigating or solving puzzles. The stories support and enhance this and give a richer experience to the player. Equally, the player must feel that the world has a consistency that makes sense in relation to the story and the gameplay. No one wants a surprise thrust upon them that kills them unfairly or expects them to solve a puzzle when it relies on a mechanic you didn’t even know existed. The same goes for the stories and worlds you create – be as unusual as you like but deliver a consistency that enables the player to feel like a vibrant part of your world. In a comparable fashion, the story worlds you create for your screenplays should support the characters and ideas in a way that’s believable and doesn’t interrupt the suspension of disbelief. Sometimes the worlds need to be big and bold like your ideas, but other times they can be much simpler because they help the ideas by giving them a clearer focus. Having the characters fit within these worlds is an important part of engaging the viewer. KEY POINT 5 – A game’s world supports and enhances its characters. Your screenplays should have worlds that do the same. Ultimately, games cannot tell you how to write your screenplay, but by studying these parallels – and any others you may find – the different perspective can help you hone your skills by making you question the creative process. Understanding the player/viewer role is an important part of placing yourself into that person’s mind. BIO: Steve Ince is an award-nominated writer, game designer and consultant with 22 years’ development experience. Currently the Videogames Chair for The Writers’ Guild of Great Britain, he can be regularly found on Twitter: @Steve _Ince. Check out his book, HERE. Great article and a great parallel. Often the story lines and scope in video games surpass those of films but the hardest part to get across is point 4 I would say. When playing the character in the game you feel that it’s an extension of you, if a screenwriter can make the audience (singular) feel this then they have won the battle (maybe even the war). Andy.